Description: CT 109 features adhesive properties that allow it to stick to hart-to-stick-to surfaces. With high tensile strength, it is an excellent choice for extra security sealing, packaging and mending, and splicing. It is also used where a static-free tape is needed. 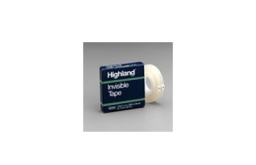 Standard Widths: ½", ¾" & 1"
Description: An economy invisible tape with a matte finish for basic office use. Fits 1-inch core desk dispensers. Ideal for mending and splicing. Accepts most ink and pencil marks. Virtually invisible on most surfaces. 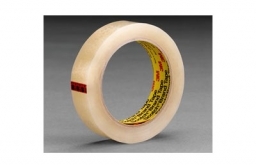 Description: 2 mil thick utility grade transparent tape designed for light-duty packaging applications, that is typically used for bag closing, temporary holding, and L-clip applications that do not put severe stress on the tape. Standard Widths: 3/8", ½", ¾" & 1"
Description: 2.0 mil thick hydrate cellulose film coated with a rubber adhesive. The backing, which is composed of a sustainable material, is characterized by a high rigidity and low electrostatic charging. 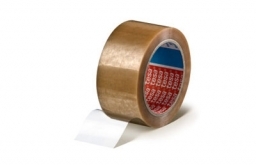 For this reason, long strips of the tape can be dispensed without any curling effect. This tape can easily be torn by hand. 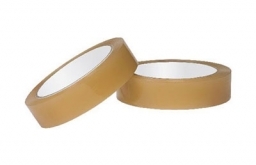 Mainly used for general packaging purposes, such as sealing small boxes. 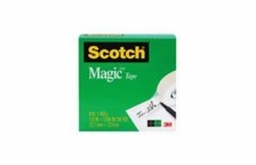 Description: 2.5 mil thick premium all purpose "Magic Tape" disappears on paper and won't show on copies. Excellent for use in mending tracings, drawings, library books, blue print, legal documents, and other permanent applications, as well as sealing envelopes and assembling. 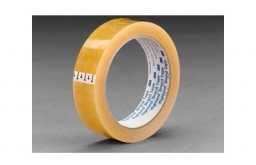 Description: 1.8 mil thick transparent film tape that is excellent for various packaging applications. It has a pressure sensitive acrylic adhesive system which is long aging and highly transparent, so it has stain and sunlight resistance which makes it an excellent choice for use on fabrics. Recommended for gift-wrapping, combining, attaching, light duty carton sealing and miscellaneous store use.